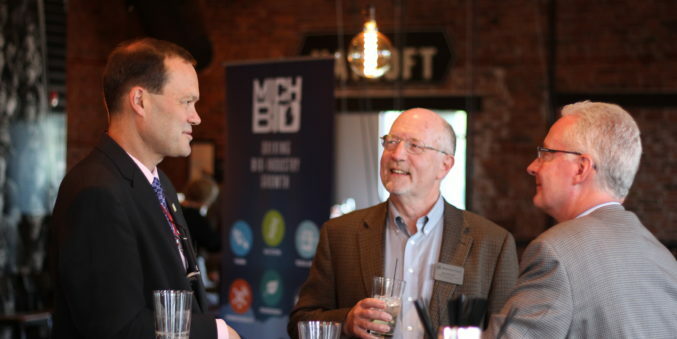 MichBIO held a casual bio industry networking event at the Continental Fire Co on September 5th. The event was free and open to all bio industry professionals, including Michigan Tech staff, faculty, and students. Attendees represented biomedical engineering, biology, chemistry, agriculture and forestry industries.